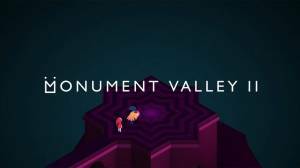 Welcome to our guide to the sequal to the fabulous, award winning 3d puzzle game, Monument Valley, aptly titled Monument Valley 2! Independently developed and published by Ustwo games, this version brings a load more similar tricky puzzles and an enchanting storyline to your app devices. If you have never played the original game, it is by no means a requisite to playing the first, you may however want to pick it up as well after completing this one as it is just so good! No discussions open for Monument Valley 2 at the moment.